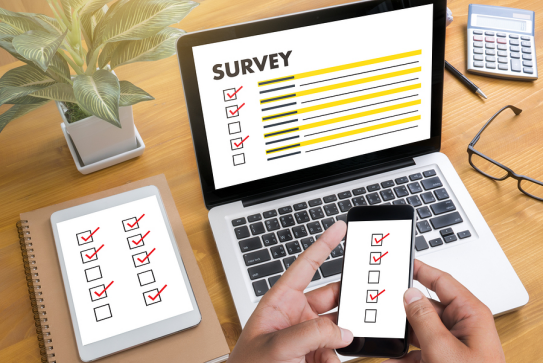 The Survey Research Program conducts local, regional, and national telephone and mail surveys with both general and special populations as well as in-person surveys in the Southwestern Pennsylvania region. SRP also conducts Internet/Web-based surveys. 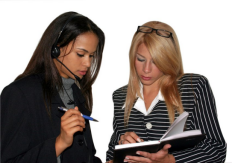 SRP relies on a pool of experienced interviewers for telephone and in-person surveys. These include both undergraduate and graduate students as well as non-students under the management of senior fieldwork supervisors. Interviewers are trained in general and project-specific interviewing techniques, such as maintaining objectivity, reading questions as written, and securing respondent cooperation. Training involves a combination of lecture, written handouts, video instruction, and role playing. Interviewers are continuously monitored during data collection for quality assurance, and periodic retraining sessions occur as necessary. A 45-line phone bank at UCSUR is dedicated to a computer-assisted telephone interviewing system. Interviewers read questions as they appear on the screen and enter the respondents’ answers directly into the computer. CATI allows for complex question contingencies, sample management, and call scheduling to be handled automatically. UCSUR has experience conducting random digit dialing (RDD) cell phone surveys in order to supplement traditional landline RDD telephone surveys. This methodology insures inclusion of cell phone-only households, estimated at 50 percent of the U.S. population (and growing). Cell phone-only households are typically younger, more likely to be employed, and more ethnically diverse, and their exclusion can result in significant biases in landline-only surveys. With this type of interview, an interviewer using a laptop computer reads questions to the respondent and then enters the answers directly into a database on the laptop computer. CAPI is programmed similar to computer-assisted telephone interviewing and provides the same advantages (automated skips, randomized experiments, etc.). With this application, a respondent operates the computer. The computer displays the questions on screen and plays recordings of the questions to the respondent, who enters answers directly into a database on the computer. A respondent typically uses headphones with our ACASI solutions in order to maintain response privacy. ACASI enhances perceived privacy for sensitive questions and is ideal for less literate populations. ACASI is similar to CATI, CAPI, and CASI in programming requirements and function. IVR is an automated system in which a recorded voice administers survey questions/scripts and detects voice and keypad inputs from a home phone or cell phone. Privacy is enhanced by switching to IVR from a live interviewer for the administration of sensitive questions. IVR also is ideal for ecological momentary assessment. SRP has the capability to conduct Web-based surveys and other online data collection and management. UCSUR operates secure servers that host such activities. SRP has capabilities to design applications for the collection of data on smartphones and other mobile devices. These include tools for the collection and integration of self-reported survey, location tracking, and physiological monitoring data for real-time ecological momentary assessment studies. Telephone surveys using paper/pencil methodology, mail surveys, and in-person surveys in the Southwestern Pennsylvania region also are available. UCSUR has conducted numerous surveys of special and hard-to-reach populations, including numerous clinical populations, children, and ethnically and linguistically diverse samples. UCSUR has conducted interviews in Spanish, Chinese, and Korean and has the capability to conduct international surveys.